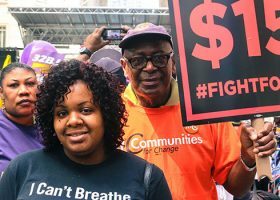 The Fight for $15 movement notched another major victory today as Minneapolis became the first Midwest municipality to adopt a $15 minimum wage. 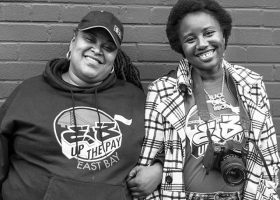 By a vote of 11-1 the City Council passed a bill that will phase-in a citywide $15 minimum wage by July 2022 for large employers, with a somewhat longer phase-in for smaller ones. Notably, the council rejected a push by restaurant industry lobbyists to allow a subminimum wage for tipped workers, maintaining the provisions of state law that require tipped workers be paid at least the same minimum wage as other workers. 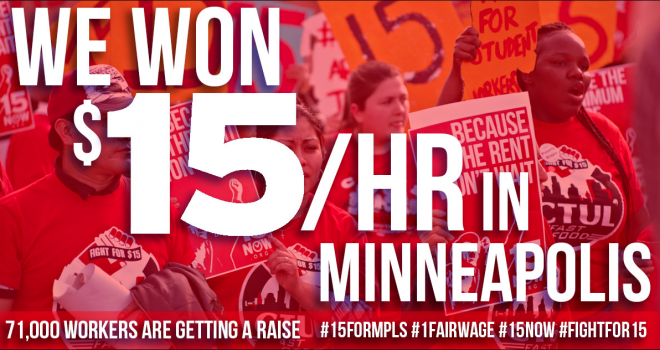 The nearly unanimous council support for the measure is a testament to the strength of a years-long grassroots movement, spearheaded locally by the workers and activists of the 15 Now Minnesota coalition. An increase in the Minneapolis minimum wage to $15 per hour will benefit 23 percent of workers in Minneapolis, or approximately 71,000 people. Workers in the city, where the cost of living is among the highest in the state, simply cannot make ends meet on the state’s $9.50 minimum wage. 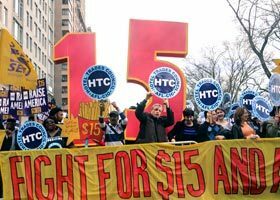 Since the Fight for $15 began in November 2012, more than 40 cities and counties, and more than 20 states have adopted minimum wage increases. 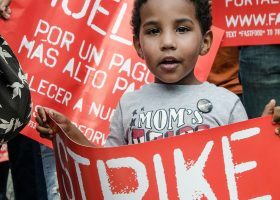 NELP estimates that about 19 million workers have won almost $62 billion in annual raises, and a growing numbers of U.S. states and cities in just the last few years are adopting a minimum wage of $15 per hour. A growing list of cities including Seattle, San Francisco, Los Angeles, Washington, D.C., and Flagstaff, Arizona have all approved $15 minimum wages in recent years. 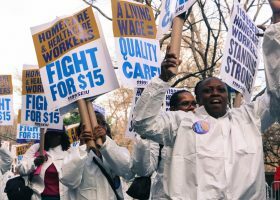 California and New York approved the first statewide $15 minimum wages in 2016. 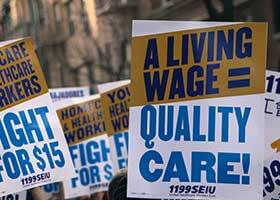 About 10 million workers have benefitted from these $15 minimum wage laws so far.